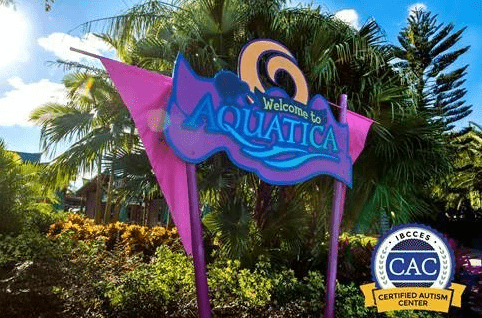 The movement for inclusiveness is spreading among amusement parks, as Aquatica Orlando in Florida has joined Sesame Place in becoming a certified autism center — making it the first water park in the world to do so. Their accreditation was complete on Jan. 8, after collaborating with the International Board of Credentialing and Continuing Education Standards to complete the special certification. The process required staff-wide training in autism sensitivity and awareness, alongside a review of the park’s property and guest experience. Aquatica Orlando will now offer pre-visit planning resources on the park’s website that will include a sensory guide created by IBCCES. This guide will provide information on how children with sensory-processing issues may be affected by certain attractions and areas of the park. It will also give parents the ability to plan for their child’s specific needs. Similar to Sesame Place, Aquatica Orlando will also provide a “quiet room” with “adjustable lighting and a comfortable seating area for guests to take a break,” officials said. As part of their certification, the park will be required to routinely train staff in assisting guests with autism spectrum disorder. The training covers areas like sensory awareness, environment, motor and social skills and more. It also requires staff to take a comprehensive autism competency exam. “We know that training and certification is the best way for organizations to ensure they can accommodate all families,” IBCCES Board Chairman Myron Pincomb said.